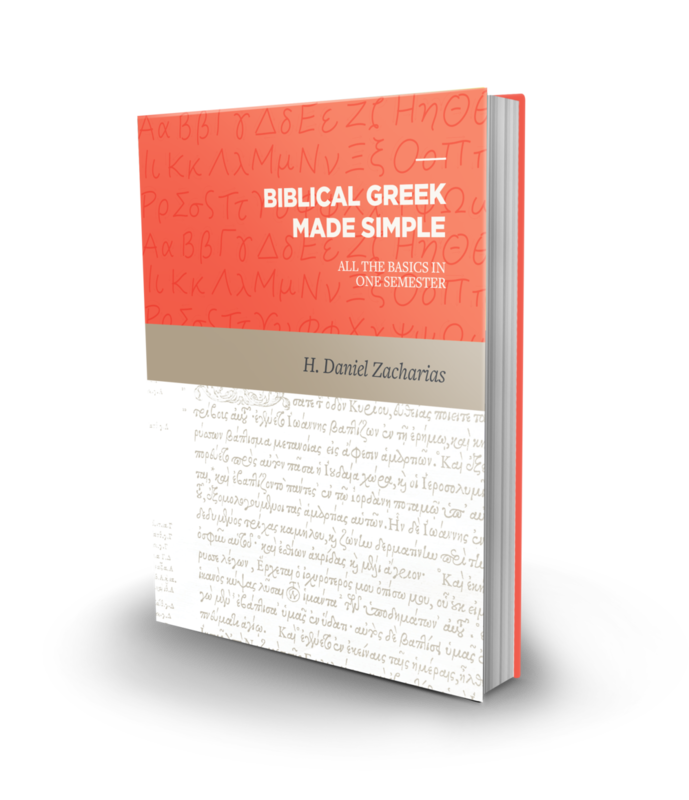 I am beyond thrilled with how Biblical Greek Made Simple: all the basics in one semester has turned out. It is beautifully bound in hard cover and the layout is superb, Lexham Press has done a stellar job. One of the things that I insisted on was colored fonts in the presentation of paradigms and morphological tags, and Lexham thankfully obliged. The result is, I humbly think, the best looking Greek textbook there is! Beyond the beauty, it has brains too. The textbook was born out of the need to move to a single semester of introductory Greek many years ago. During that time of change, I decided that, rather than urge students away from Bible software use as is so often done in introductory Greek, I would fully embrace it in this grammar. The result is a textbook that teaches all of the basics of Greek while integrating that knowledge through use of Logos Bible Software. Every chapter ends with learning activities that drill in the essentials of grammar and integrate the learning of Logos Bible Software to make use of it for Greek study. The textbook’s eleven chapters also makes use of multimedia resources and other resources to help students learn. This includes links to my Singing Grammarian videos, other videos I have created for grammar learning, and online quizzes to reinforce grammatical concepts. You will also be happy to know that the both FlashGreek and ParseGreek are compatible with the textbook. Finally, I am so happy that the textbook is available within Logos for those who prefer a digital version. What I love about the digital version is that the learning activities can be done right inside of Logos, and all of the links are live and ready to click. Please join my in celebrating by ordering a box of books and handing them out to your family and friends! And Christmas is coming soon – this is the ultimate stocking stuffer! To read a little more about the text, including the book blurbs, see the book’s page here. Finally if you would like to hear me ramble on even more about the text, listen to this podcast interview at the Exegetical Tools. Newer PostFlashGreek 2.0 is Here!